Presumably, somewhere in Japan at this very moment, a mother is placing a loaf of pull-apart bread next to the arm of her sleeping child so that she can take a picture and post it to social media. This is not a singular act of madness caused by sleep deprivation. Well, it might be, but it’s more likely that the child’s mother is merely jumping onto one of the internet’s weird bandwagons. Uproxx would have the public believe that photos comparing baby arms to bread loaves are the latest meme to emerge from Japan. BuzzFeed agrees. One mother posted such a comparison to Twitter circa April 14, the story goes, and other parents ran with the concept until “Bread Or Baby Arm?” was a full-blown social media phenomenon. The tale has the ring of truth to it: With their bulges and folds, babies’ arms do strongly resemble bread loaves. A few representative tweets prove the point. 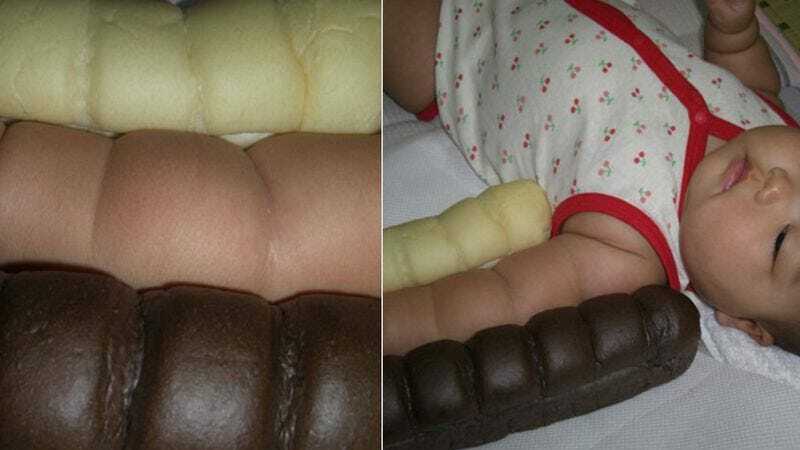 Okay, so baby arms look like bread. Is there any larger significance to this meme, or is it simply a manifestation of mankind’s subconscious desire to eat babies? Know Your Meme suggests that “Bread Or Baby Arm?” is merely the latest in a series of memes in which edible and non-edible things are compared. Past examples include “Puppy Or Bagel” and “Hot Dog Legs.” And all of these, in turn, derive from the internet’s general interest in things that look like other things. Anyway, here is the world-shaking tweet that started it all. Even the most cynical of observers would have to agree that baby’s arm sure looks a heck of a lot like bread. This meme is hereby approved.